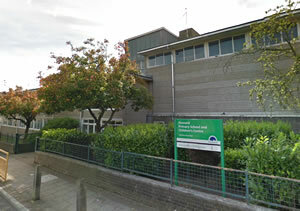 Granard Primary School in Putney is on a list of six borough schools which the Council are proposing to expand in time for the academic year beginning September 2014. The school would increase from two form entry to three form (60 places to 90 places. The Council say that it is closest to the area of greatest need for new places and they will be constructing a new building at the site to accommodate the extra children. They have launched a consultation on their plans to provide extra places at Hillbrook, Broadwater, Allfarthing Sheringdale, Albemarle schools as well as Granard. Granard would have an additional reception class next year if the plans go ahead. Councillors were told this week that based on the current data the borough will need around 24 additional classes by September 2020 to ensure there are enough school places for local children. Further proposals about expansion plans at other schools are to be published later this year. The Council say that the latest population figures published by the Greater London Authority show the borough needs a massive expansion in school places over the remainder of this decade to keep pace with the expanding school-age population. The GLA data shows that Wandsworth’s annual birth rate rose from 4,359 in 2003 to 5,477 in 2011 and is projected to continue rising in the years ahead. The proposals for the September 2014 intake have been drawn up following detailed discussions with the headteachers and governors at all the schools where additional classes are being proposed. In total seven new reception classes are being planned, two additional ones at Hillbrook and one each at the remaining five schools. Eight new classes will also be opening this September at the start of the 2013 academic year. This includes those being provided at the borough’s three new free schools which are opening this autumn. These are a two form entry school at the new Tooting Primary in Franciscan Road, sponsored by Graveney School, another two form entry at Rutherford House School in the former Balham Youth Court building, and a single form entry school at the South London Jewish Primary School, which will be opening temporarily at a local synagogue ahead of finding a permanent site. The council’s education spokesman Cllr Kathy Tracey said: “The council is working hard to ensure there are enough school places for all the children that are being born in the borough. “Over the last year we have invested close to £10m in creating extra classrooms at some of our best and most popular schools. “And we have given our firm backing to the three new free schools that will be opening this September. These will provide additional places and also offer parents extra choice when it comes to deciding which local schools are the best for their children. The rise in demand for places is most acute in Furzedown, Tooting, Graveney, Earlsfield, Wandsworth Common, Northcote, Balham, Southfields, West Hill, East Putney, Thamesfield, West Putney and Roehampton wards. To take part in the consultation and find out more information about what is being proposed visit the council’s website. The public consultation runs until Wednesday, May 22.